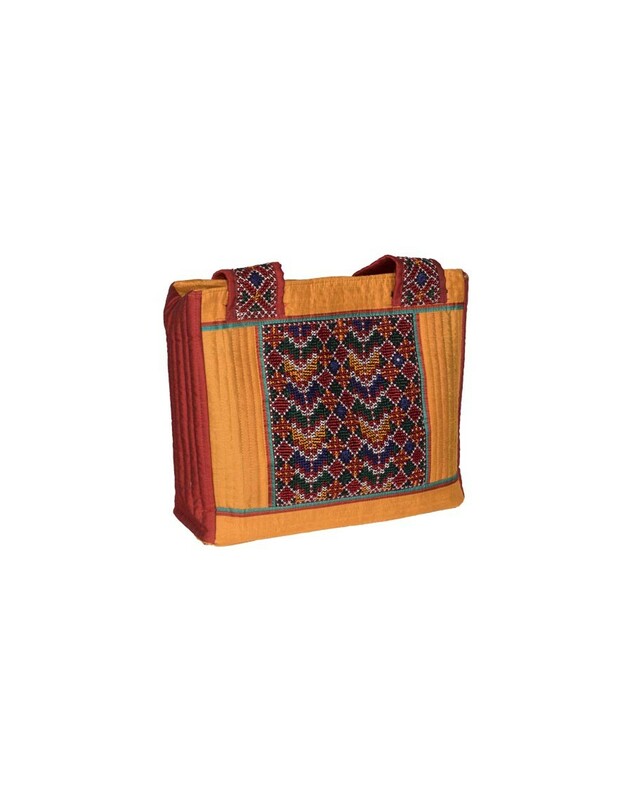 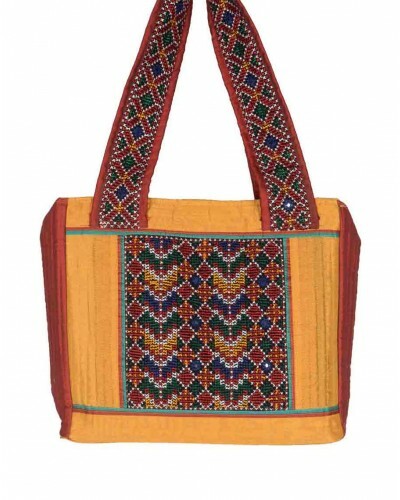 It is made from Art silk with Jat work shoulder bag. It is designed exclusively to elevate your style status. 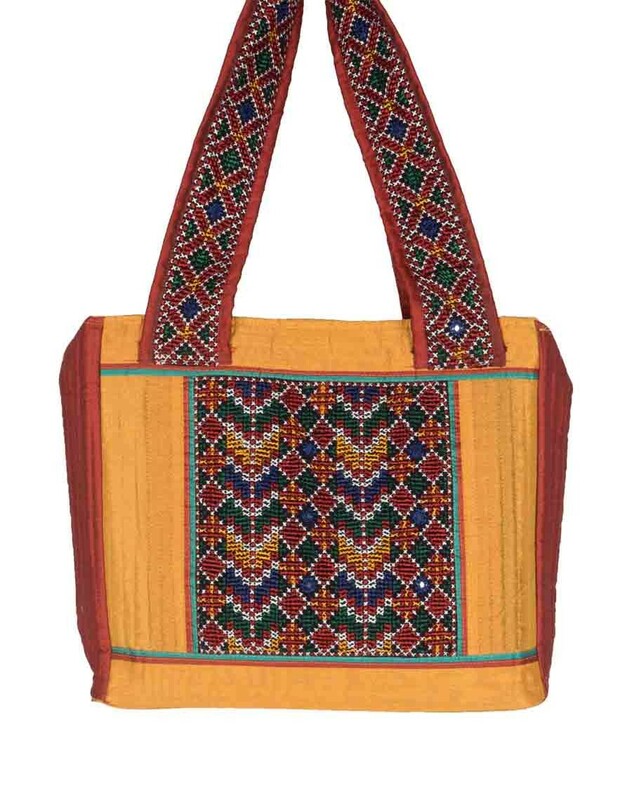 This bag is hand-crafted which add a unique charm to your style. Size of the product: 30 cm (H) x 28 cm (L).